For all that we talk about upgrading to cast iron and tri-ply, non-stick pans are still the ideal for certain tasks, and surprise, they don’t have to be crap. 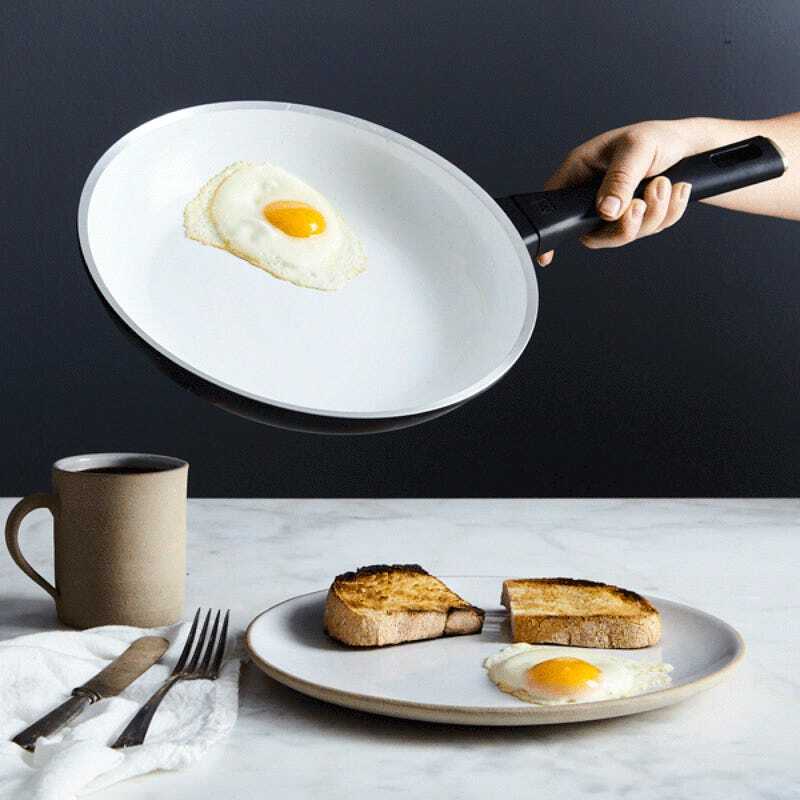 Food52 hooked us up with ZWILLING’s Carrara Nonstick Ceramic Fry Pan back in July, and we’ve been loving it ever since. This isn’t the black, slippery, questionable non-stick surface you’re used to, but a beautiful layer of white ceramic crowning an aluminum core. We’re also big fans of the straight, ergonomic handle. Starting at just $49, the Carrara is in impulse-buy range, makes a great gift, is compatible with all cooktops, oven-safe up to 300˚F, and dishwasher optional.